Todd is an intellectual property attorney who advises businesses – from small and emerging companies to large, multi-national technology corporations. He assists his clients in determining the value and importance of IP assets to business objectives. In his practice, Todd routinely develops an integrated approach among engineers, marketers and business executives to develop and implement effective IP strategies. Todd provides counsel on a broad array of matters, including foreign and domestic patent and trademark prosecution, IP investment analysis, IP portfolio management, IP analytics, IP due diligence, licensing agreements, technology agreements, post grant proceedings and IP litigation. 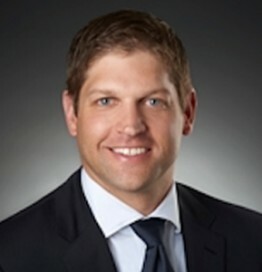 He has specific experience in high tech industries, including medical device, computer hardware and software, electrical, electro-mechanical, optical, and manufacturing processes. Todd blends his knowledge of domestic and international IP law with his technical background to provide unique legal solutions for his clients. Todd has also developed significant experience in counseling small and emerging technology companies through various stages of growth. He helps these companies develop business plans, obtain financing, implement general policies, draft legal agreements and forge effective partnerships. In addition to his work as an attorney, Todd is an adjunct professor at the University of Minnesota Law School where he teaches a course on intellectual property transactions.